If you want to create dazzling attention-getting effects on your websitedesigned to elevate your product above a sea of "me too" offers and lame sales lettershere's something I think you'll want to see. You see, I was looking for a simple way to get my message out there without looking like every other website out there. I wanted something eye-catching, for sure, but nothing like the flashing banners circa 1996. I wanted something dead simple to use, that would allow me to create multiple effects on the fly in just a few minutes without batting an eye. Stand out from the crowd and get your website and product noticed in an increasingly cluttered world! ü 3 New effects engines give you popup lightbox capabilities: images, full web pages, videos, an MP3 audio player, and MORE... right on your web page! ü Ability to jump to any animation frameor the main settingsinstantly! ü Behind-the-scenes engine enhancements means the software is even smarter than before! In most cases, PowerEffects will translate your HTML to the formats the effects engines work best withautomatically, behind the scenes. Of course you can always override most HTML settings directly by editing the HTML code itself, but you probably wont need to. ü A comprehensive user manual that gets you up and generating effects for your own web site in no time flat! 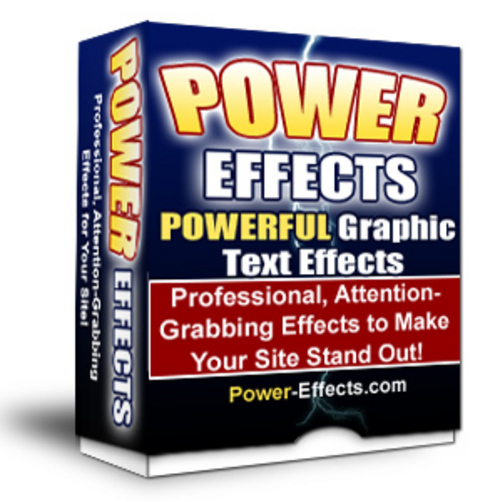 Power Effects Php Script V2 MRR animation;power effects;text effects;websites 99093763 2.50 digitteam Fresh Download Available!